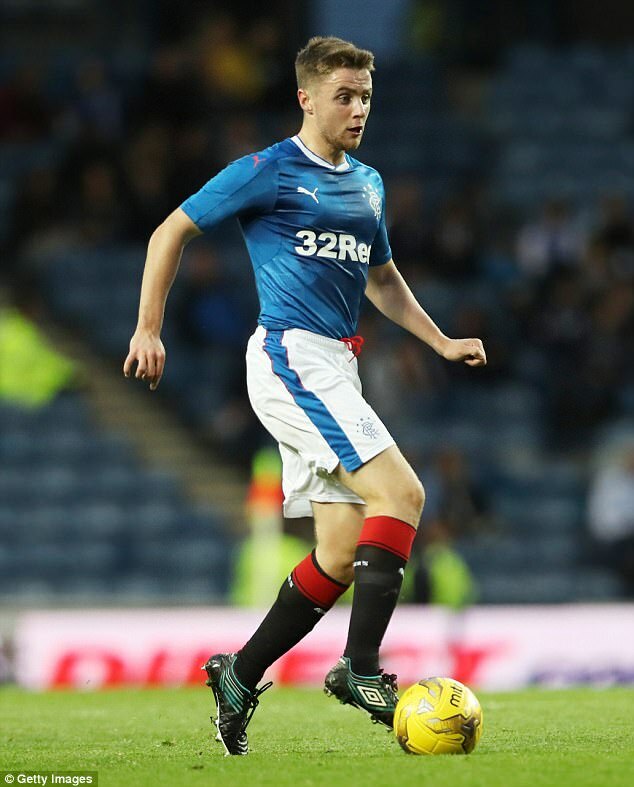 Ibrox Noise: Are these the players to turn Stevie Ger's Rangers around? Are these the players to turn Stevie Ger's Rangers around? With Stevie Ger’s Rangers Revolution in full swing, we are starting to get a picture of the players who may just have made the cut now. While we have secured three excellent signings in Allan McGregor, Scott Arfield and Jamie Murphy, there is a tonne more to do and a lot of players to shed. James Tavernier, Declan John, Ryan Jack, Ross McCrorie, Jordan Rossiter, Greg Docherty, Daniel Candeias, Josh Windass, Joe Dodoo. Here on Ibrox Noise there’s a little squabble over Alfredo Morelos, hence not immediately adding him to the remains. Some of us adore him and want to keep him at any costs, while others couldn’t sell him away quick enough. So we’ll leave his name as a separate issue. But the mentioned players do, for now, seem to be the current core of players who are definitely going to get a chance to prove themselves. For the most part we’re happy with these. James Tavernier is a fine attacking threat, and a valuable asset – and for now, if we can improve his defensive reading (his actual defending itself is good, but his positioning isn’t) he could be quite useful, and SG has spoken to him and told him he remains part of his plans. As does our Josh, who Stevie has surprised the fans with his intention to build around. He does seem untouchable, but equally that’s four managers in a row who see in him what the fans often don’t. Declan John is now a Wales regular and a no brainer – he’s an outstanding LB and other than Tierney the best in the SPL. And the midfield is chock full of excellent young players – Ross McCrorie, Jordan Rossiter and Greg Docherty are all fine lads, and while we’ve not been impressed with Ryan Jack – slate clean 100% and he now has a fresh start to win us over. Daniel Candeias was a comical omission from the SPL team of the season ‘award’ and we’re delighted the potential of Joe Dodoo has finally been seen by someone with an evident brain and the young striker will get a chance to make a lot of people look very silly. In short, Gerrard really does seem to be cutting the chafe away from the wheat. More and more it looks like he’s the first manager to know a player when he sees one in a long time, and the potential in the squad to deliver more than it has has been something we’ve tubthumped about for some time. We might just have the boss now who can do it. I cannot wait to see Dodoo make a lot of my mates and other Rangers fans make a lot of apologies to me. Those who have scoffed/laughed at me for saying he was a diamond who hasnt been given a proper chance. I have little doubt if trained in the correct way, given correct support and encouragement, and being played in his correct position, in the correct system, Dodoo has the ability to become a cracking player for Rangers. He was mever given a proper chance Hassan, imho. Worse still on the few times he was brought on he changed the game, either scoring or laying on an assist. THEN he was dumped AGAIN for the next game. It didnt just happen once either. It says a lot for the guy that he has kept his head down and kept plugging away. My sources tell me that in training he looks the business and trains hard.One chink in his armour he has is his confidence, which given the above isnt exactly to be unexpected. How would any of us feel looking at others (Windass for example) getting on the park every week, despite being absent in much of the previous games (albeit imho opinion, cause he is getting played out of position) and they get on the team sheet no matter what, yet when given a chance you do something, but never get anymore of a chance? Take 2016/17 he only played 810 minutes of football TOTAL... He played (mostly coming on from bench) 25 times and yet still scored 5 goals and setup 3.... That for me isnt the sign of a donkey. Especially given who else was in the team. I also believe sometimes he got himself in "bother" cause he thinks maybe a step or two ahead more than the other players around him. Even when he was getting played he was getting played in all different positions.... No consistency for him. Put it this way.... I dont see what we have to lose by keeping him and giving him his chance. Selling him now, we will get buttons for him. I believe he has contract till 2020... Keep him till Xmas, if he doesnt show anything you wont get much less for him then, than you will now. He looks good, keep him for season and then make a decision. I would hate to lose a guy who has potential and then see him shine with someone else, especially when he hasn't been given a proper chance. Either did Barjonas get a chance to prove himself, but I still think he gave a better account of himself, than Dodoo. We need strong, confident, fit, athletic, fearless, tough, skilful, ruthless and diehard players in our team! We need players who can carry the weight of the famous blue jersey and fight for the full 90 minutes in every game! Did we see that from any player last season? No! Will Stevie Gerrard get more out of the players? Only time will tell. If we let the beggars win the league next season, it would be the biggest egg on our faces for buying into the euphoria of Gerrards name. So my feet are firmly on the ground until I see results on the park! Let's be honest. Stevie G can come in and make huge improvements and STILL not win the League next season. Particularly given our limited budget. Do you think Ceptic are going to stand still. It's unfair and unreasonable to imply that Gerrard will be a failure if he doesn't win the league next season. It's going to take a few seasons to mould the club to what he wants. I think Windass should go. For one thing, he'd fetch good money. Second, he's all flash and no goals. He doesn't pass to players in a better position, he barely looks up, he's so ball-greedy. I do believe he will be a great player in the future, but when we needed goals in the net last season, he came up short, time and time again. Sell him. Keep Cummings, He's not had a fair chance to shine. Have you lost your glasses Joe90? No goals? He's just finished the season with 18, and he played out of position for half the season. I bet you would call Cummings a big success if he banged in 18 goals.